Late February marked the heavyest February snow storms for the last 100 years. Our power was off, taken out from fallen trees and tree limbs. The roads were full of snow and ice, making travel difficult and impossible at times. The lines for propane were long. The weather started to clear up at the start of March, and the Tournament being held in Redmond, OR, was not cancelled. The drive to Redmond was unfortunately eventful, with a swerve on the road from the ice when we were driving up towards Hoodoo’s peak. We were fortunate enough to have avoided the oncoming traffic. We attached our tire chains and continued onward to Redmond. After the 4 hour drive, we’ve reached an even colder town of Redmond, with icicles hanging over a foot in length. The tournament was being held at the Oregon Army National Guard Armory. Nate had to move up in weight division to have an opponent. The rules for the tournament and for his division, was Submission Only, “Best of 3” Rounds, with each Round being 5 minutes. Nate earned his Silver medal for this division, after 20 minutes of hard-fought competition and for not getting submitted. 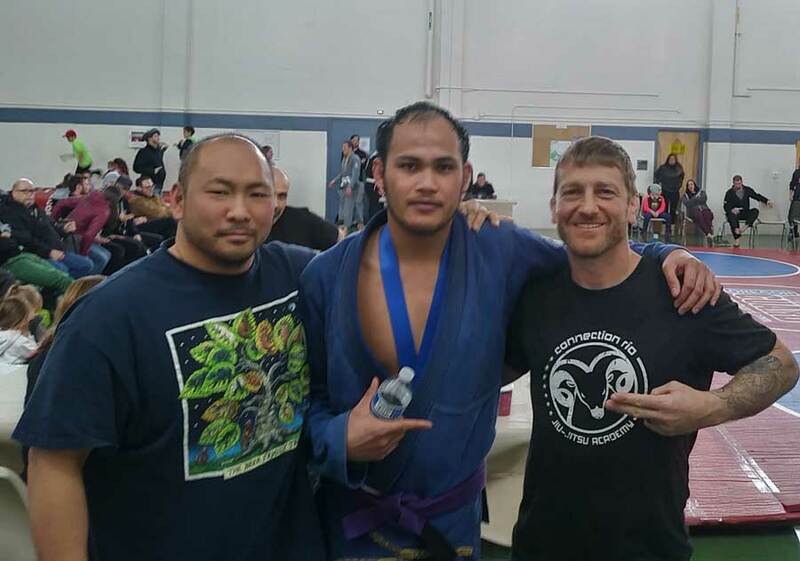 Nate was going to compete in the Absolute GI, NoGi & Absolute NoGi. But his rib shifted out of place again, so we were done for the day. We thank Connection Rio and Professor Dennis Ashe for hosting and organizing this event.